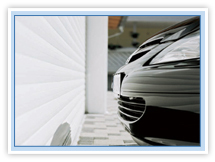 The Rolset company provides you with aluminium garage doors. Nowadays garage doors have to meet very strict requirements. 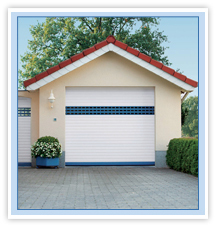 That is why more investors buy the Rolset garage doors. There are enough reasons: reliability, wide range of colours, optimal operation comfort, longevity and great look. The assembly to existing buildings is no problem. When rolled, the shell placed in an aluminium case, whose colour harmonizes with the colour of the gate shell and has the size from 200 to 400 mm, depends on the gate height. 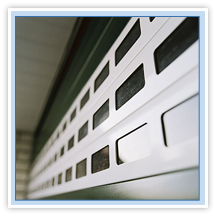 The Rolset garage doors may be acquired from the profiles with covering surface from 55 mm up to 77 mm. Depending on the purpose, there can be pressed or lacquered in RAL system aluminium profiles, or aluminium and steel profiles filled in with a plastic foamed in 12 different colours, CFC-free. . 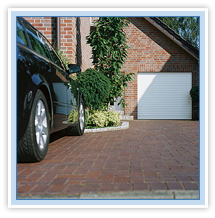 The Rolset garage door is a reliable decision for future. 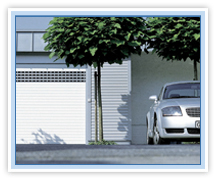 Next to high degree of safety, thermal insulation, attractive look and non-maintenance exploitation, there has to be emphasised a high comfort of the Rolset aluminium garage doors operation with a remote controller. In case of lack of electricity, the door can be open with a crank. The whole surface of a garage ceiling can be allotted for storing roof racks, sport equipment, etc. Thanks to the usage of the technology of a leading head, a ceiling doors can be assembled even in garages without a header or in garages, where the distance between the upper edge of door opening and the ceiling is only a few centimetres. The ceiling door is not a pivoting door so there is more place to park in front of the garage. 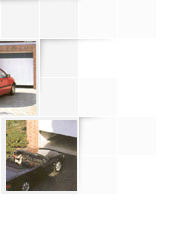 Nowadays there are still increasing requirements connected with doors quality, because there are usually quite expensive cars behind them. There is no significance if they are of Golf or Mercedes class. More building investors decide to install the Rolset aluminium rolling doors.